The 24 year old German Andreas Seewald from the Centurion Vaude Team set the records from the very beginning! Sometimes he was even 30 minutes ahead of the passing times scheduled by his own coaches. The timing stopped at 09:50:47, almost 3 minutes less than the last course record by Luis Leao Pinto (POR) in 2013. Ondřej Fojtík (CZE), winner in 2012, was runner up with a time of 10:12:12. The Tyrolean Martin Ludwiczek came in third 27 minutes later. Only four out of 14 women were able to finish the extreme distance! 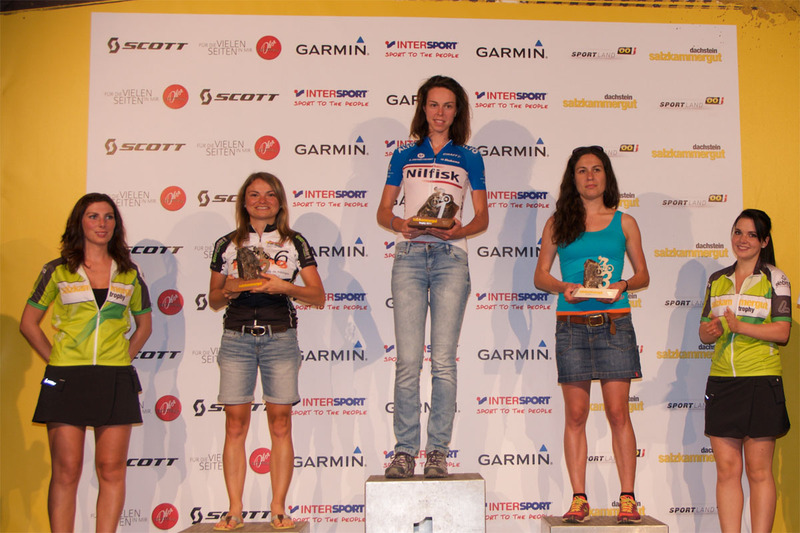 And the winner is – just as in 2014 – Milena Cesnaková (Superior MTB-Team) from the Czech Republic. She was able to undercut the late track record by Andrea Huser (SUI) in 2006 with almost 7 minutes and outclassed her compatriot Jana Skrbková (Eleven Team) by more than 19 minutes. Lucie Vlášková came in third with a time of 13:42:40, also below the magical 14 hour limit. Barbara Skandikova (SVK) came in fourth building up her lead in the Intersport-Marathon-Series. 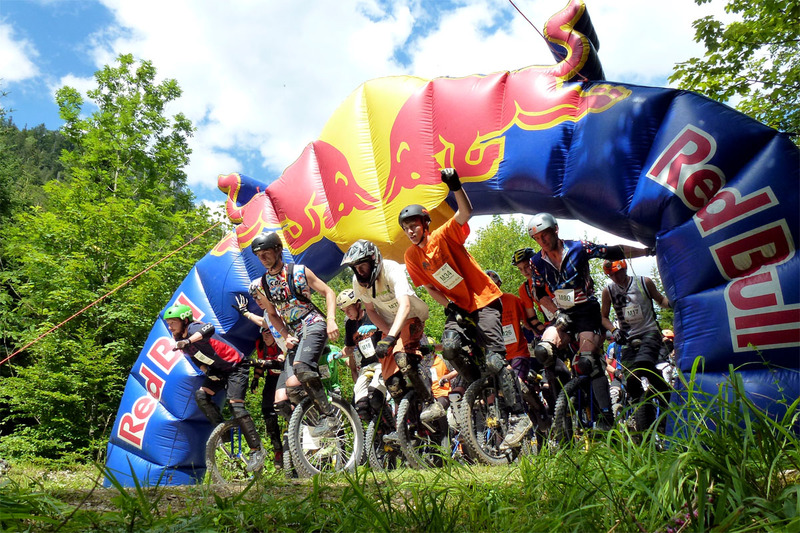 This year for the first time, course B of the Trophy was part of the UCI Mountain Bike Marathon Series. Christoph Soukup wins this elite-race, second runner up Jiri Novak from the Czech Republic and third Matthias Leisling from Germany. Among the women: Paulina Wörz (GER) wins the race, second place Michalina Ziółkowska (POL) also ahead of both Austrians Agnes Kittel und Sabine Sommer. Barbara Mayer wins 9 respectively 12 minutes ahead of Mandelli Chiara from Italy and Bea Lederer from Germany. However, Petr Šťastný (CZE) and Ales Strnad (CZE) finished the B- distance almost ex aequo. Despite incredible heat, they were able to accomplish the 119 km and 3.850 altitude difference in 05:19:54 respectively 05:19:55. Jan Černý completed the Czech triple victory 19 minutes later! Anna Šmídová from Czech Republic outclasses with 03:47:45 Sabine Söllinger (AUT). 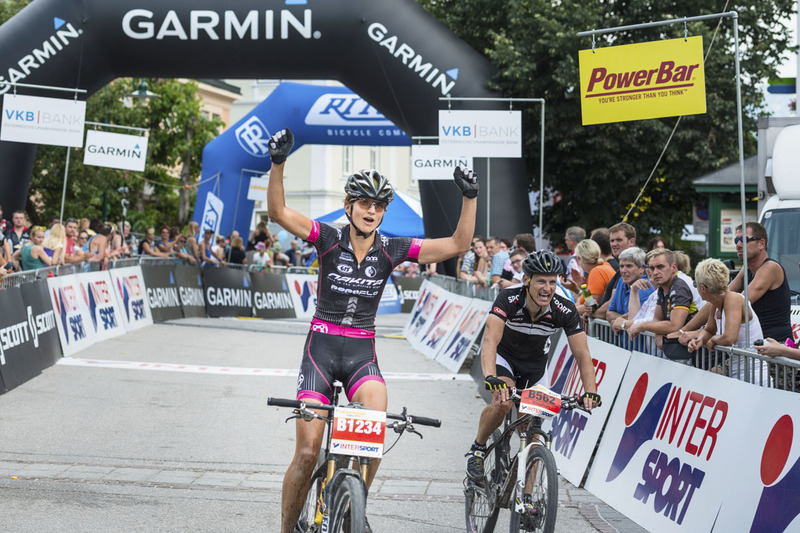 With only 4 seconds behind Kathrin Gräber (Focus RAPIRO Racing) from Regensburg comes in third with 04:11:26. Markus Schweiger from Team KTM RAD.SPORT.SZENE was able to win the 76 km long C course with start in Obertraun with a time of 03:18:08, runner up his competitors Oswald Ehrmann and Michael Benjamin from Germany. Schweiger was leading from the beginning on and was able to expand his lead by 4 minutes when crossing the finishing line. 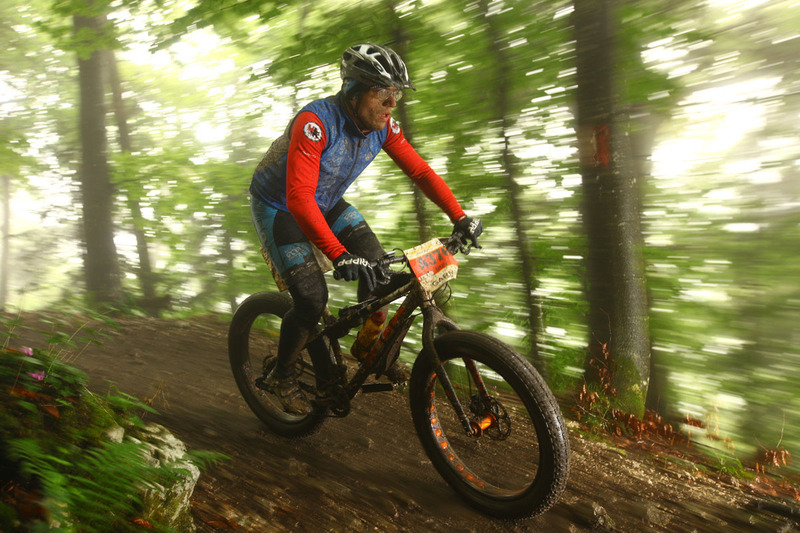 More than 270 bikers have signed up for the All-Mountain Contest with start in Bad Ischl. Martin Gebeshuber from Upper Austria wins with 03:02:02 – only 42 seconds ahead of Karl-Heinz Gollinger from Styria and Florian Thaller from Rosenheim. Trophy veteran Thomas Hödlmoser – winner of the extreme distance 2004 – was also at the start and came in 27 in his age group. Katja Walz from Germany won the women’s race with a time of 03:51:50. Second runner up and third place go to Jacqueline Meister and Theresia Kellermayr, both from Styria. Again, by far the biggest starting field – the E- distance with more than 53,3 km. Out of 1.169 starters 1.141 athletes completed the race! Lena Putz (Intersport Genesis Team) from Germany wins with 02:42:23, second Irina Krenn (Team Mauna Loa Merida) from Bad Goisern and Naima Diesner (Team Kenda DMC) from Germany. Among the men, Andreas Silberbauer from Lower Austria wins with a time of 02:15:59. Only 22 seconds behind Christoph Mick (KTM Donau Fritzi Racing) and Matthias Grick (KTM RAD.SPORT.SZENE Ausseerland) tie for second place. Six Junior bikers were able to place among the top ten on the F-course. Although, winner of the day was Moritz Bscherer (JG 1996) who bikes his first season in the „general class“, still Florian Wimmer, Josef Fiala, Jakub Kurty, Lorenz Neubauer, Philipp Aschauer, Simon Weber ranking second, fourth until eighth present the power of the Junior bikers. Among the women Sandra Koblmüller from Rohrbach wins, still next generation Yvonne Kuhnlein, Michaela Matoušková and Carmen Wimmer ranking four, seven and eight show also top performances. First until fifth position for the U17 bikers! Tyrolean Junior Biker Ronald Goedeke (RSV Weer-Kolsass) wins and is followed by the Upper Austrians Tobias Bayer from Straß im Attergau and Jakob Reiter from Walding. Daniel Körner (RC ARBÖ ANF Auto Eder Walding) misses the podium by only 28 seconds, fifth is Julian Leitner from Bike Team Kaiser. Among the women, two U17 bikers from Austria are also fastest of the day. Nina Mosser from ASVÖ ÖAMTC SC Hermagor wins, second runner up Valentina Kahr (GIANT Stattegg). Corinna Grabmeier from Germany comes in third. At the SCOTT Junior-Trophy 449 kids and youngster were at the start. The youngest had to challenge a skill parcours. The youngsters were fighting exciting duels with a lot of action in the finish! Every participant of the Junior Trophy received a Trophy T-Shirt and Ginger Bread medal as a souvenir. Among all present participants two mountain bikes by SCOTT, as well as two pair of Fisher Ski were raffled. Sportograf was again on site with four photographer shooting great memory pictures. The Trophy Team is considering a new concept for the Junior competitions in 2016. Already on the previous day Florian und Stefan Rabensteiner were able to win the unicycle-Marathon over 22,1 km. Third came in Christian Hörner from Germany. Among the women Laura Baumgartner was the fastest. Only 19 seconds behind Jana Tenambergen from Germany. For the 750 toughest among all mountain bike athletes July 11 starts already at 05:00am. 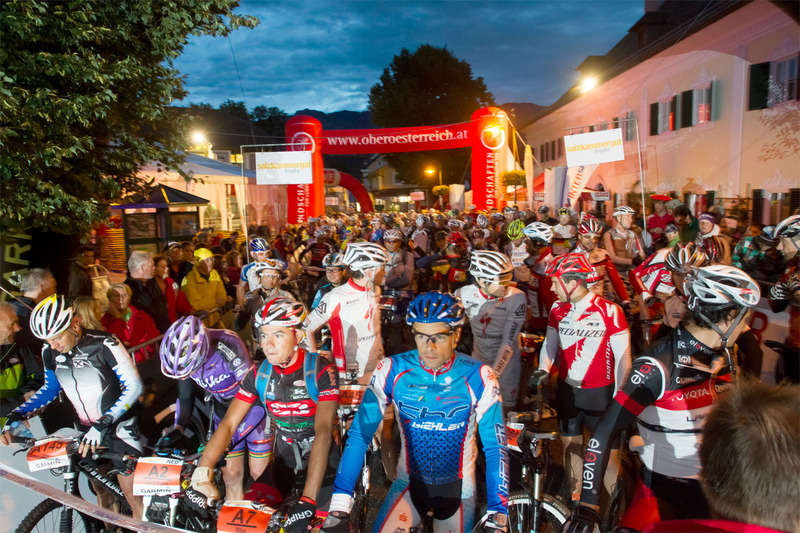 That’s the line up for the extreme distance at the Marktplatz of Bad Goisern. Incredible 221 km and 7.049 meters altitude differences are waiting for the participants of the longest mountain bike marathon in Europe. For this challenge hard-core pros e.g. Wolfgang Krenn from Styria (winner’s time 2011: 10h26m) and Ondřej Fojtík (winner’s time 2012: 10h37m) have signed up. However, hot candidates for first place are also the Tyrolean Daniel Rubisoier, who came in third last year with a time of 10:35 as well as Andreas Seewald from Bavaria the superior winner of the B-course in 2014. For the women, last year’s winner Milena Cesnaková (CZE) will be again at the start. Touring the expo is really worth it – for visitors and participants. The best team mechanics are waiting at the service stands for the visitors providing technical support in case of bike problems. Every participant receives in their starting package a voucher booklet with information and coupons regarding special deals. Visitors may collect this voucher booklet at the info stand for free! Friday, already at 10.30 am the three-days Bike-Expo starts and as of 01:00 pm the AUVA-bike-workshop. 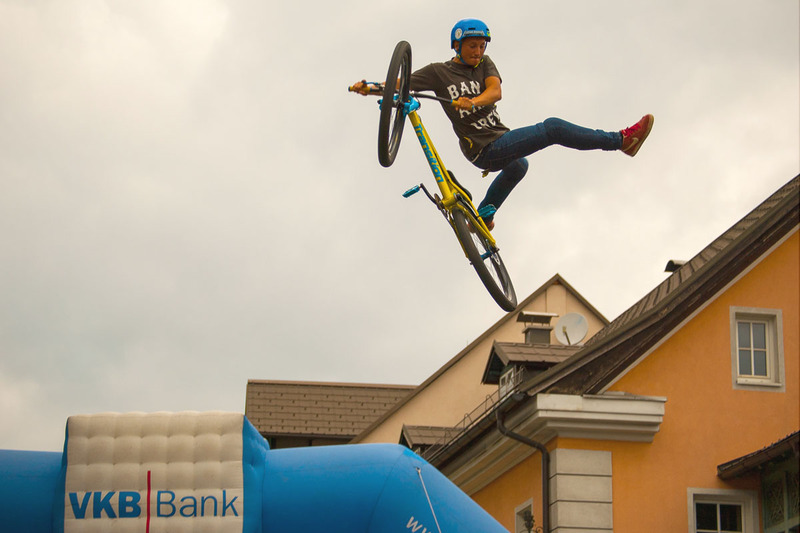 From 05 pm the airspace above the market square of Bad Goisern is booked for the local dirt-bikers presenting the coolest tricks and around 07 pm the top bikers and celebs will receive their race number on the ORF stage in the festival pavilion. From 09:00 pm Ö3-DJ Philipp Kofler will be in charge for a funky & crazy „Trophy-Warm-Up on the turntables! On Saturday in the start& finish area, the top radio hosts Heinz Hörhager, Adi Niederkorn, Jakob Fischer and Georg Pollak guarantee for some good vibes among numerous of spectators. After the last finishers, around 09 pm, the covered court yard in the Castle Neuwildenstein will be turned into a chill-out zone. And around 11 pm Mr. Lee Roy will heat up the crowd at the „After-Race-Party! 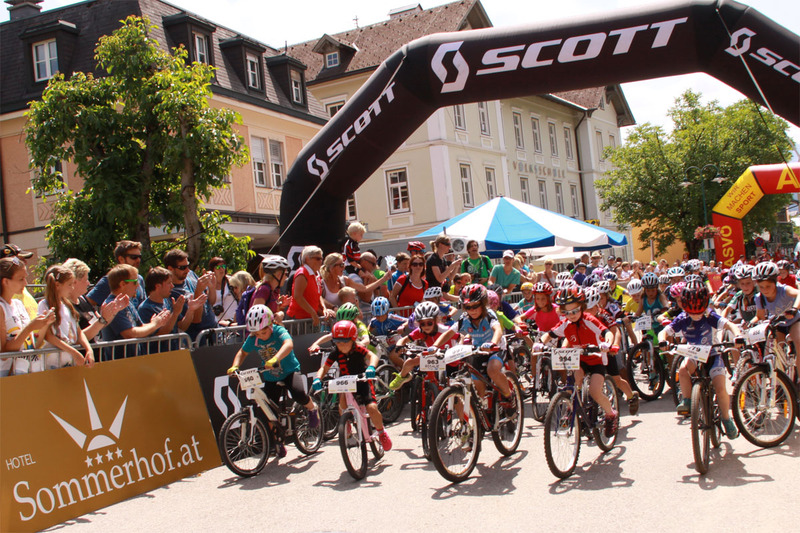 On Sunday, the winners of the Unicycle-Downhill are expected at the Marktplatz already at 09:15 am and at 10 am the SCOTT-Junior-Trophy starts. For our little visitors we offer a real big program during the whole Trophy weekend! The new course map is online and we will start signposting by next week. The course sections marked with white dashed lines may be biked on the day of the race only! We ask you to strictly respect those lines – or we are not allowed anymore to use those sections in future. During the Trophy weekend printed course maps with passing times for coaches and visitors are available at the info stand and at the starting number distribution. Online-maps, altitude charts as well as GPX-data of the trainings course are available on our homepage. However, special guides from Mountainbikezentrum Salzkammergut offer also individual course inspections for clubs or small groups. The GPX data of the race track will be online as of July 8th. Check out www.mikspec.pl for 3D altitude charts of the courses. Arrive in good time – have a comfortable stay – be relaxed at the start! Our partner hotels are located in Bad Goisern and vicinity. There is an inexpensive Taxi-Service from the neighboring towns to the start in Bad Goisern. However, when staying in hotels at Traunsee, Bad Ischl, Obertraun, Bad Mitterndorf or anywhere in-between the journey including bike transportation to the three starting places is free of charge with the special trains by the ÖBB. 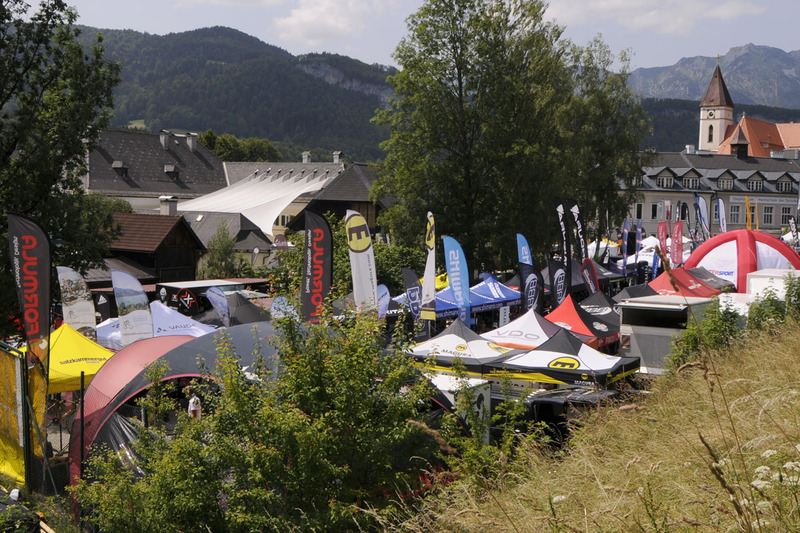 During the Trophy the football field of the SV Bad Goisern will turn again into a huge camping site. The camp offers WCs and showers, canteen, bike wash and a free Wi-Fi hot spot. We also recommend the camping sites in Hallstatt, Obertraun as well as in Wolfgangsee. 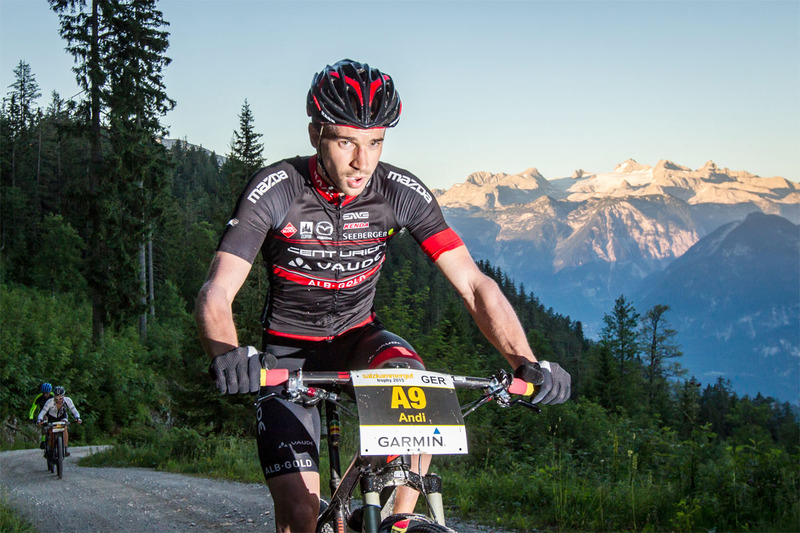 After 2010 and 2011, our pacemaker Gerhard Gulewicz will be again in action on the extreme course. Gerhard‘s goal is to maintain a steady load by beating the requested time limits by approximately 15 minutes. 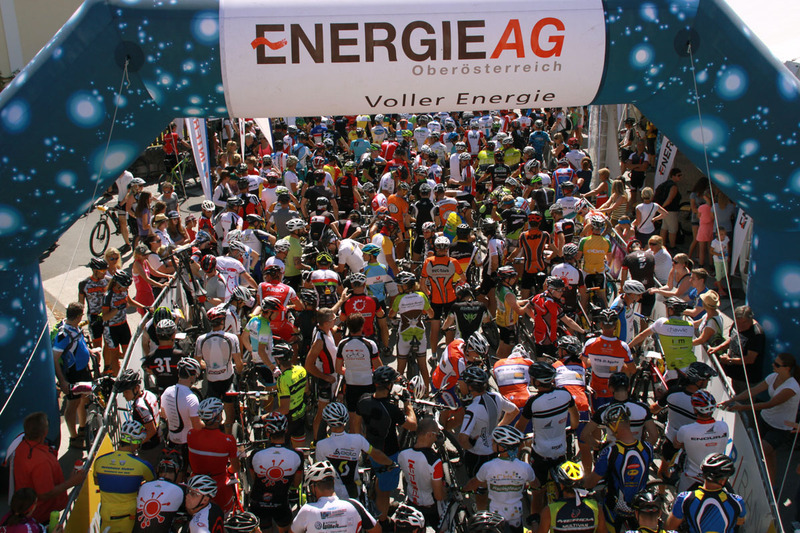 All bikers ahead of him will therefore reach the finish line in Bad Goisern for sure! Those who want to bike the extreme course together with Gerhard Gulewicz, just meet him at the festival pavilion on Friday around 6:00 pm! 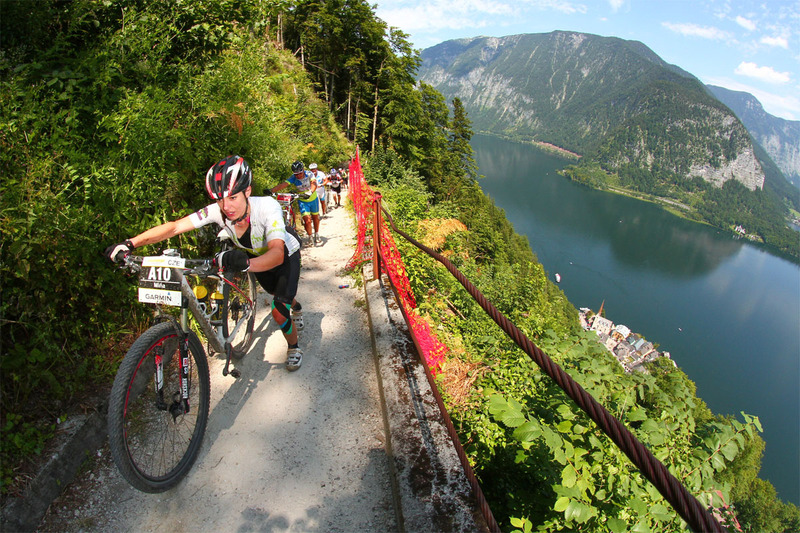 Besides the Muni-Marathon, which takes place on the 22,1 km and 37,9 km course as part of the Salzkammergut Trophy, there is an unicycle down-hill race for the 8th time this year! The mass start for this spectacular competition will take place next to the Mountain Hotel Predigstuhl at 09:00 am. 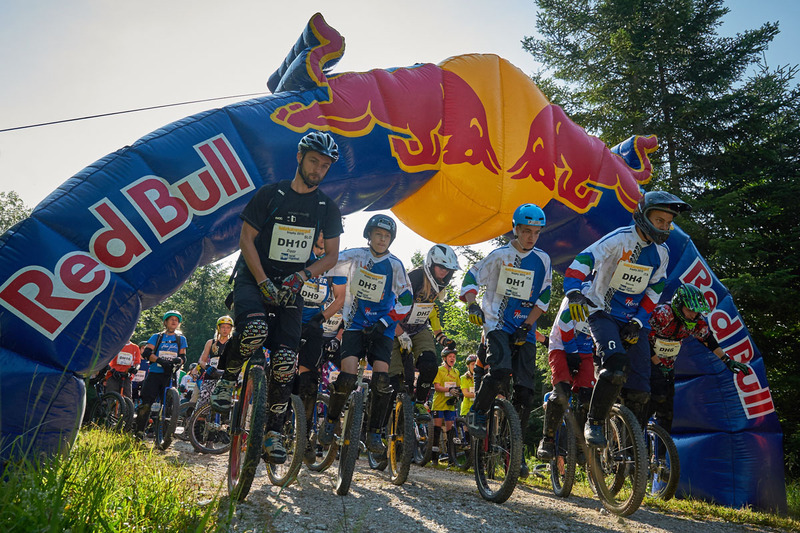 The starting list is the who’s who list of the unicyclists: both last Year’s winners Florian Rabensteiner and Vera Hofer from South Tyrol, current World Champion Rulf Jakub from the Czech Republic as well as winner of 2013 David Weichenberger from Linz will tackle the race. So far there is a 30 % increase of registrations for the SCOTT Junior Trophy! 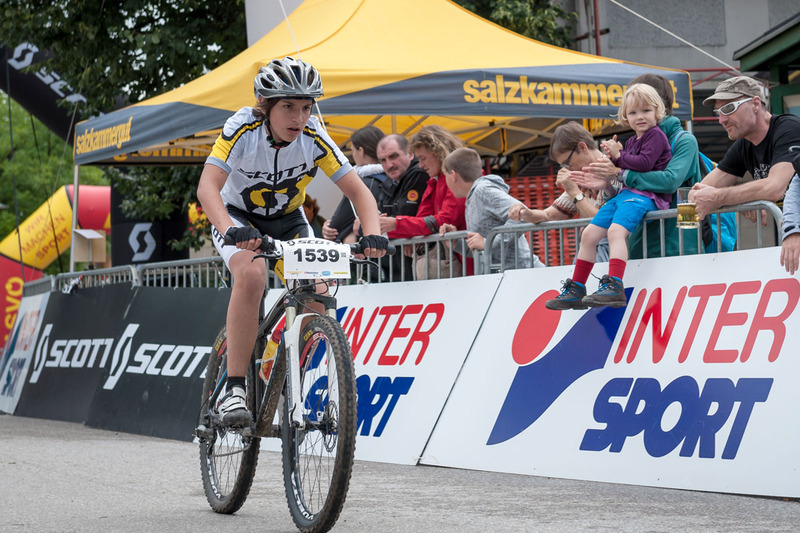 Last year more than 400 junior bikers were at the start in Bad Goisen. Every participant receives a ginger bread medal as well as their own special Trophy T-Shirt. The three winners – girls and boys – of each age group will receive a trophy. After the winners’ ceremony at 12:15 pm and 03:00 pm there will be a tombola with valuable prizes for all present bikers! The main prizes are a SCOTT mountain bike and a pair of Fischer Ski. 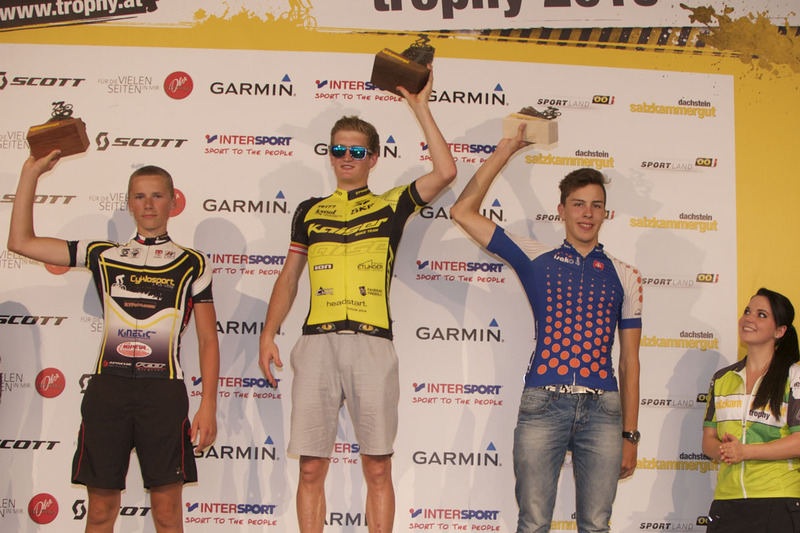 For the first time the Salzkammergut Trophy is part of the UCI Mountain Bike Marathon Series. Eligible are all licensed bikers born 1996 or older. 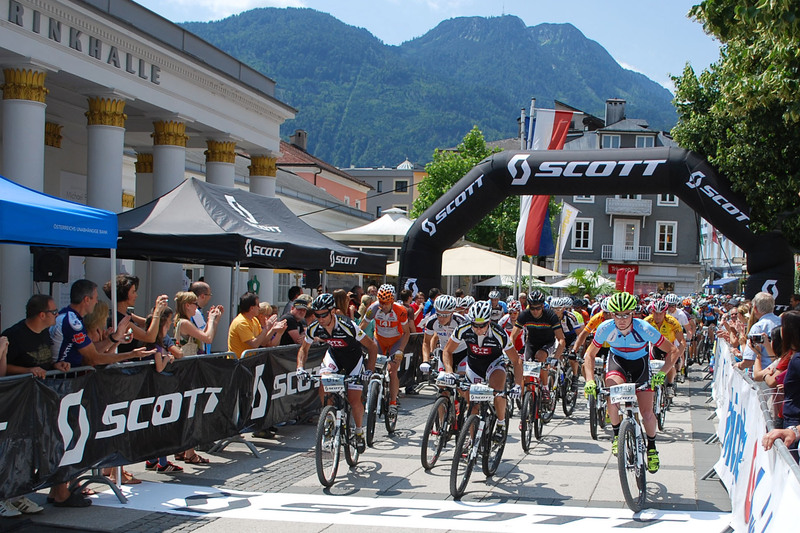 The women will start in Obertraun on the 76 km distance. 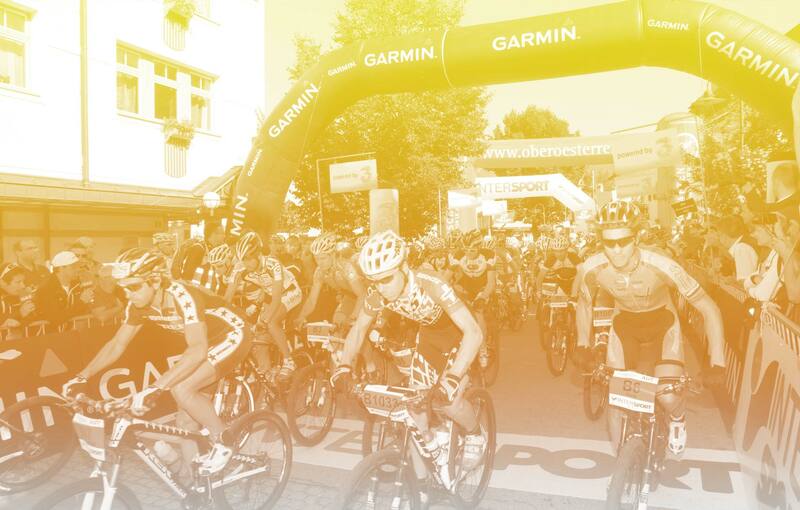 Men will tackle the 119,5 km course in Bad Goisern starting at 09:00 am. So you tackled the Trophy with your helmet camera and your friends filmed you at the start and passing the finfish line? Your private video is lacking of helicopter-pictures, the winners’ Interviews and the most spectacular parts of the extreme course? Well, here is the good news: together with our partner Kavedo we decided to make the complete raw material from 2011 – 2014 in broadcast quality available to all Trophy participants – for free! Just log in with the username "Teilnehmer" and pass word "Trophy” and download the material in a resolution up to 1920 x 1080 pixels. In addition sportograf.de offers personal action scenes from almost all participants for 20 Euros. All participants who post their new edited video on YouTube online and send us an email have the chance to win a Garmin VIRB® Elite camera! 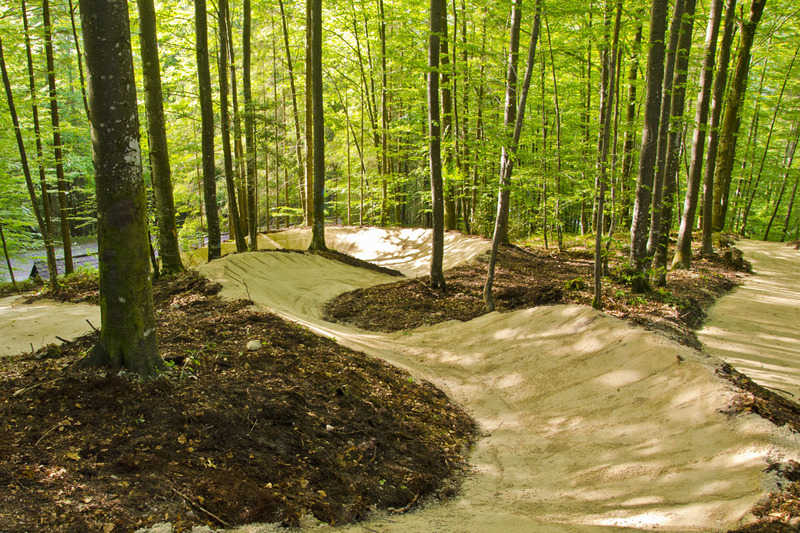 The BSZF area in Obertraun offers now a pump track – one can either train one’s body control or speed over the modular designed wave track just for fun. The necessary initial speed it guaranteed by a small starting hill with three entry areas to the course and then it’s time to shift weight and pump hard in order to manage the course without using pedals. This facility is also ideal for clubs and teams who would like to organize training camps or courses. 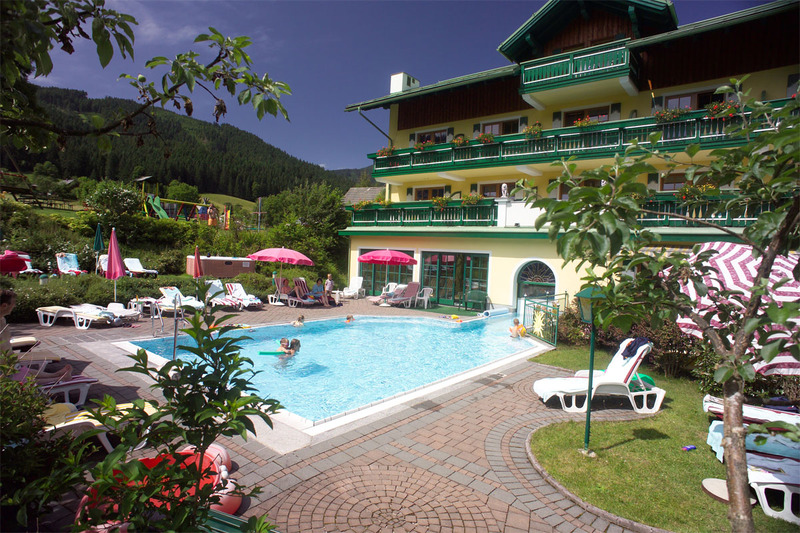 The BSZF Obertraun is most idyllic embedded between Lake Hallstatt and the Dachstein at the foot of the Krippenstein and it offers a phenomenal deal regarding sports facilities including accommodation and board. Especially for participants of the 76 km distance there are some rooms from Saturday to Sunday still available. 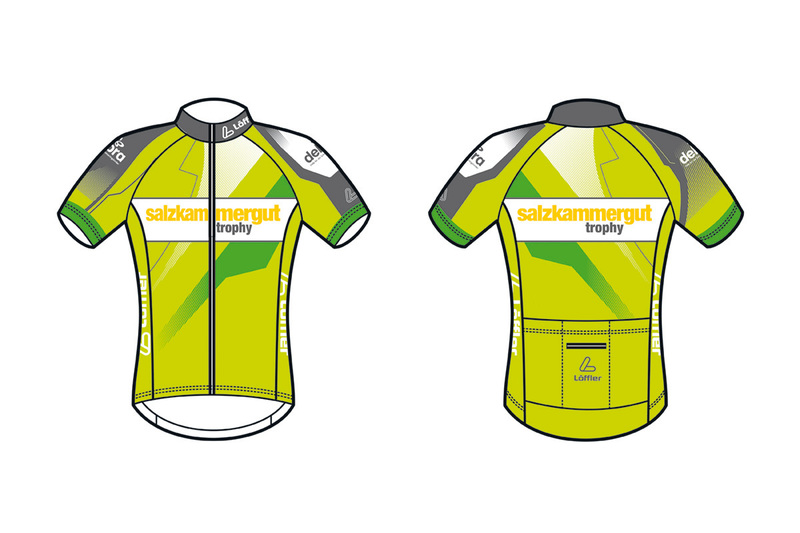 Löffler, the premium sportswear made in Austria, offers a new Trophy Jersey in the sizes XS-3XL . For each sold Jersey five Euros will be donated to the Debra - Children! Löffler also offers matching bike pants in HotBOND-Technology. The innovative Löffler HotBOND-Technology abandons all seams: single pieces of fabric are assembled and sealed by an innovative ultrasonic welding technology. 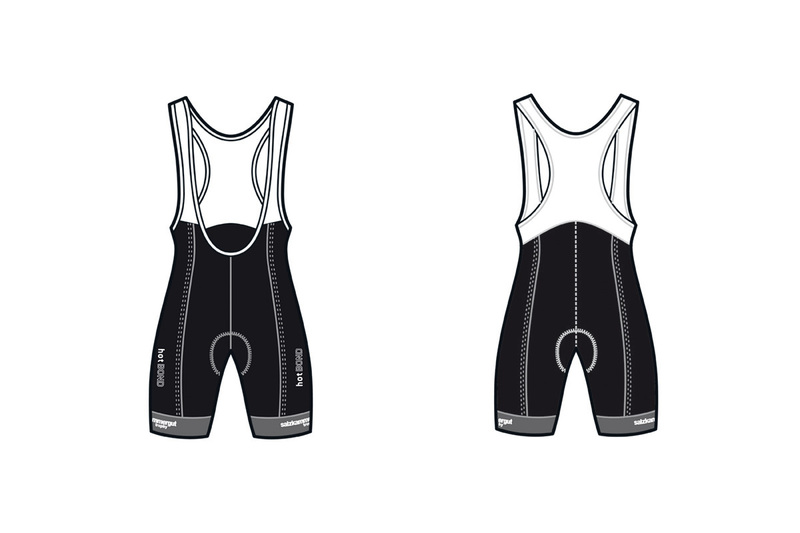 Just order the Jersey and the pants during your registration process and pick them up at the Löffler expo stand. The pieces may be tried on onsite! For a 7 Euro fee shipping is also possible. Please order your size via email. This year there is a brand new Fatbike-Rating on the 60 km course. Also perfect for clubs and groups is the so called Slow-Motion-Rating – where they can win non cash prizes worth more than 20.000 Euros. This rating adds the timing of all team participants – regardless which of the seven distances they have chosen. The maximum number of a team has been reduced from 100 to 50 members – so smaller groups have also a chance winning the main prizes. Also awarded is going to be the fastest of age group athletes, teams, tandems and unicyclists.